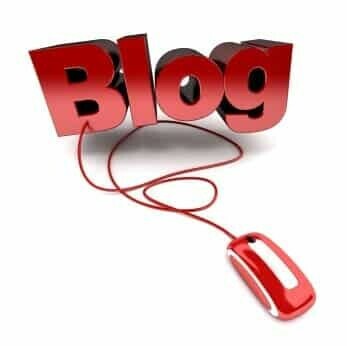 Blogging undoubtedly helps bring more traffic to your website. There is enough evidence from a wide variety of sources to demonstrate that. Indeed, there is plenty of support for the notion that Google itself prefers sites that have blogs. Of course, it is not really about “blogs” as such. Rather it is about adding fresh, new, original and interesting content to your website. You might call it “news” or “updates” or whatever, instead of “blog” but the principle is the same. But how often should you add fresh content? Research by the Inbound Marketing company, Hubspot, shows that the more often you add new content to your website (or blog) the more traffic you get and the more leads you generate. Now, the results of an experiment by the website LogMyCalls has added to the debate about the frequency of blogging. They have been testing the impact of writing three blog posts every day. They checked things over a 200 day period (almost the entire working year). The impact was dramatic. In the first 100 days of the experiment, website traffic generated by search engines went up by 3,489%….! Yes, you read that correctly. Significantly, website traffic that was “direct”, whereby people typed in the website address having “heard about it” somehow also went up by 288%. And the amount of traffic coming from links went up by an astonishing 1,435%. What this all does is back up the notion that blogging is a real winner in terms of getting website traffic. But…you knew there was a but, didn’t you? Take a look at the bounce rate for LogMyCalls over the period of their experiment. The number of people landing on a page and then disappearing after reading that one page has trebled over the past year. The number of people visiting the site has gone up dramatically, but so too has the proportion of people bouncing out. Equally, the Alexa data shows that over the time of the experiment the amount of time spent by each visitor on the LogMyCalls website has also plummeted. Now, we have to take this all with a pinch of statistical salt. Alexa is only estimated data, based on educated guesswork. Only LogMyCalls can really tell us what is happening with their site. Even so, the Alexa data does match what happens with other sites when they increase their blogging or content production generally. They tend to get people who are attracted by the headline of the new piece of content who then visit the site as a result, but are less interested in what else it has to offer. In other words, blogging – or adding new pieces of content to your website each day – is also a losing strategy because it brings you thousands of visitors who aren’t the least bit interested in what you do or offer. However, take another look at the LogMyCalls data. True, the bounce rate has risen dramatically. But it is a bounce rate within a much higher total of visits. Back in 2012, before the experiment, Alexa reckoned the bounce rate as around 10%. That is 10% of almost 4000% less traffic overall. Now, the bounce rate is around 50% of that much, much higher traffic. Let’s look at that in mythical numbers because I don’t know the LogMyCalls actual number of visits. Let’s imagine that in 2012 they had 100 visits a month and 10% of these bounced, giving them 90 potentially useful visits. After the experiment, the 100 visits would go up by 4,000% to 4,100 visits, yet 50% of these would be bounces, leaving them with 2,050 useful visitors, instead of a paltry 90. So, what does this really tell us? It suggests that if you do dramatically increase your content output you will significantly increase your traffic – but a large slice of that traffic will be useless to you. You win and you lose. However, the rise in traffic from increased content production is so vast, that useless traffic is not worth worrying about. It is yet more evidence that regular, several times a day blogging is vital to online success. As always Graham, something really worth thinking about and getting sorted. What tips would you give to help people blog 15-21 times a week? How much time out of busy weeks already will this take up? And how do you stop yourself from running out of ideas?